Swivel stool designed by Friso Kramer in the 1950's and manufactured by Ahrend de Cirkel. 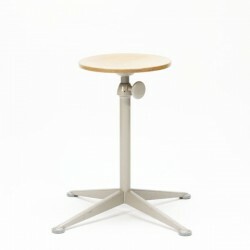 The industrial stool has a wooden seat and a gray metal base. 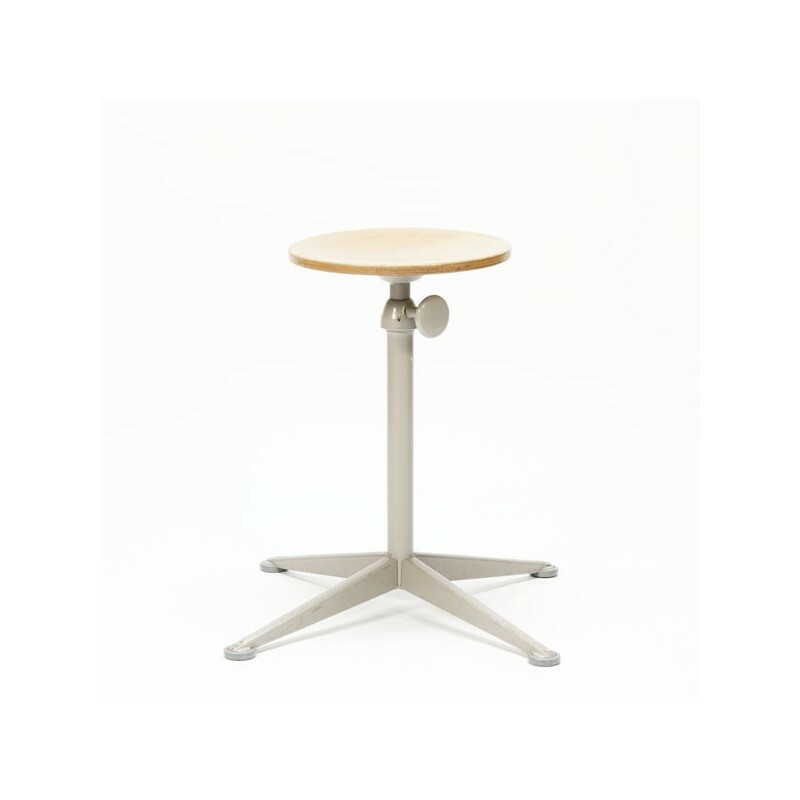 The stool is height adjustable from 57 cm up to 73,5 cm, the diameter of the seat is 33.5 cm. The stool is in a good condition, some traces of aging.